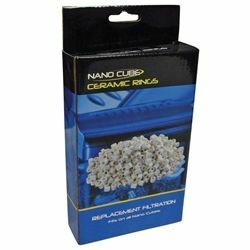 Looking for replacement ceramic rings for your 6G to 24G JBJ Nano Cube aquarium? You've come to the right place. These ceramic rings promote the growth of beneficial bacteria in your freshwater or saltwater tank. This will keep your fish and other inhabitants happy and healthy.